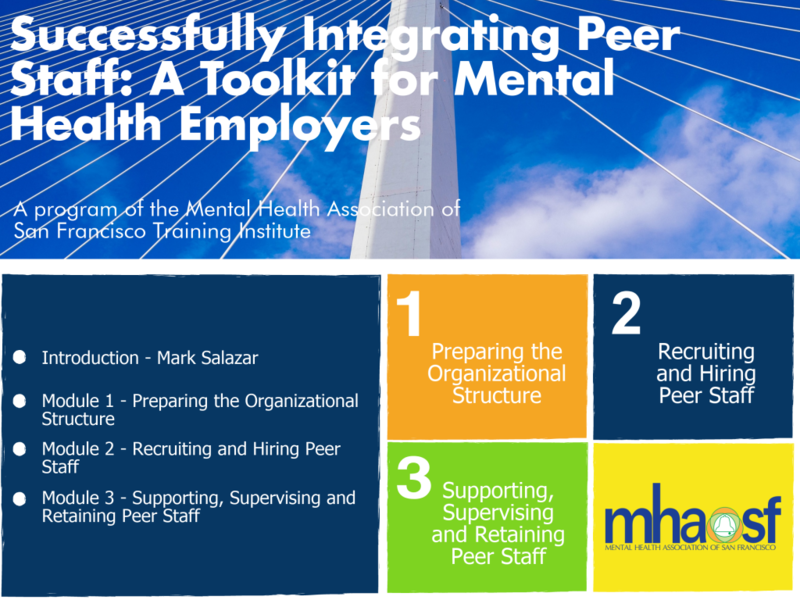 Get all the information you need on hiring, supporting, and retaining peer staff. 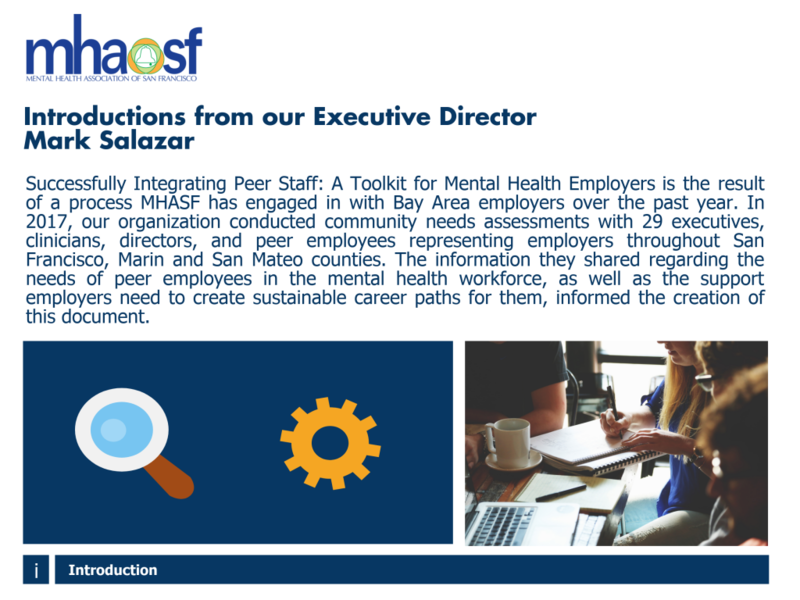 Attract talent, drive innovation, and promote recovery-model values by hiring peer staff today. 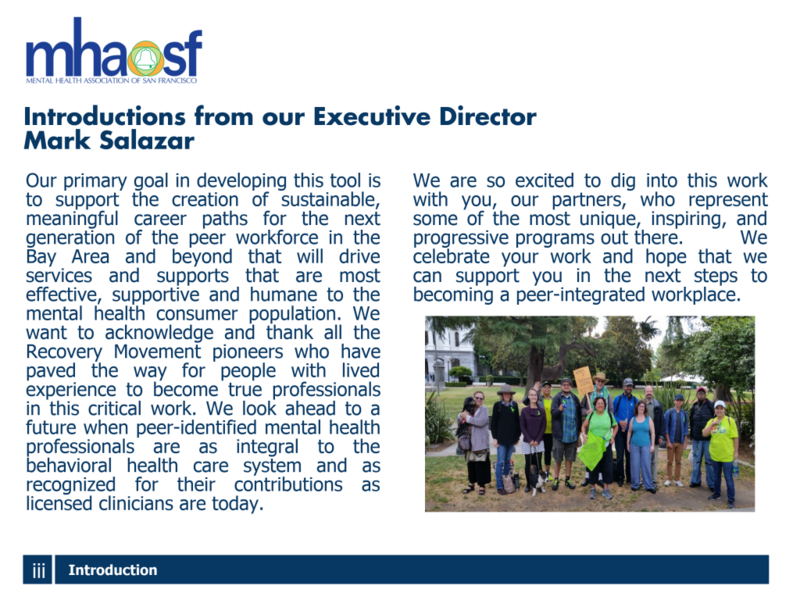 Sign up to get the full toolkit for more details. 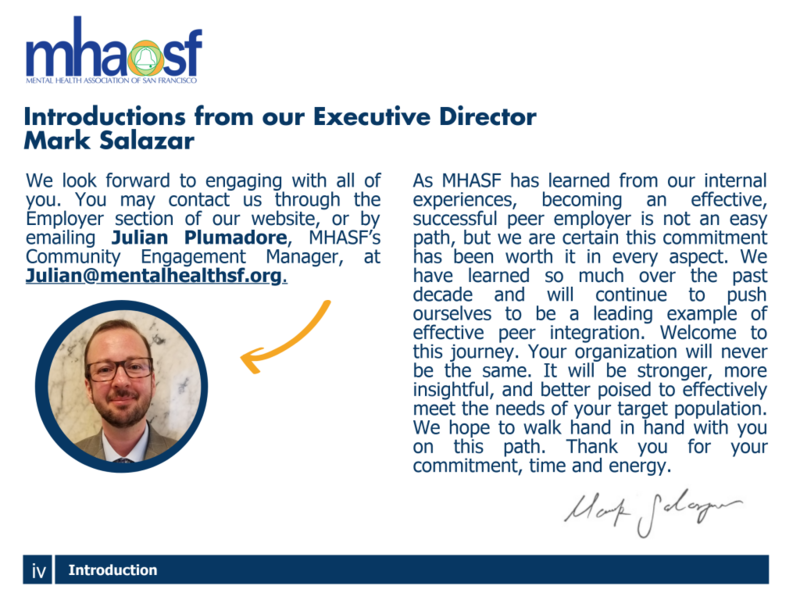 By submitting this form receive the MHASF Employer Toolkit, you give MHASF permission to reach out to you or your organization to offer an assessment and further assistance.